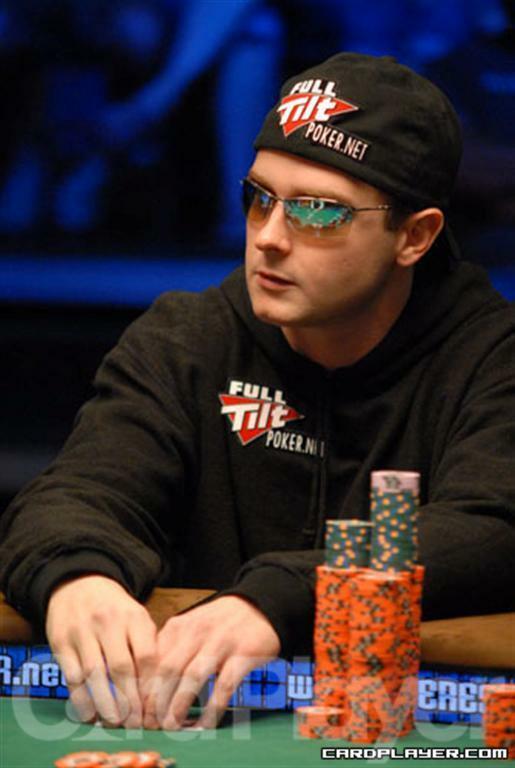 Dean Hamrick had been close to a World Series of Poker bracelet before. He made more than $500,000 for his tenth-place finish in the 2008 WSOP main event. At the 2009 WSOP he made the final table and finished fifth in another no-limit hold’em event. Continuing that annual progression, the young Michigan-native not only made it to the final table of event No. 42 ($1,500 no-limit hold’em) Friday, but he battled through a three hour back-and-forth heads-up match against Thomas O’Neal to claim his first WSOP title and the $604,222 first-place prize. Throughout the three days of play he outlasted 2,520 other entrants, including a tough 15-hour final day that had a cast of characters ranging from veterans like Humberto Brenes (16th) to UFC welterweight Mike Swick (10th). But Hamrick pulled out the win, pushing his major tournament winnings beyond $1.5 million for his career and earning that elusive WSOP bracelet. Gustavson was trailing and hoping to see some paint, but the flop missed him completely. It ran 8 8 6 , keeping Caramatti ahead with two pairs, sixes and eights. But his hopes of staying alive ended with the 3 on the river. Gustavson finished ninth for $44,856, and Caramatti jumped into the chip lead with 2.5 million in chips. Johnson was the favorite to win the hand and double up but the flop was unkind to him, running A 6 3 . Caramatti took the lead and Johnson was down to two kings or running hearts to save his tournament. He got neither, as the 3 hit on the turn and the 2 finished the board. Johnson finished in eighth place for $58,571. Andrew Rosskamm raised to 125,000 and was called by Thomas O’Neal. The flop ran 10 4 3 and O’Neal checked to Rosskamm who fired 80,000 into the pot only to have O’Neal check-raise to 200,000. Rosskamm raised again, putting himself all in and O’Neal called. The J landed on the turn and the 3 on the river officially ended Rosskamm’s run, busting him in seventh place for $77,392. O’Neal had around 2.2 million in chips after the hand. The flop of K J 8 connected with Hemmel, giving him some hope, but the K on the turn left him dead to another jack or an ace. The 7 came on the river and Hemmel was gone in sixth place, making $103,461. Kaiser held two overs but the flop didn’t connect with either of them, running J 6 4 . The turn brought the 6 and Kaiser was in need of a queen or nine to stay alive. The 2 fell on the river and Kaiser was the fifth-place finisher, making $140,013. Caramatti was caught with the worst hand but the flop gave him reason to celebrate, running K J 6 to pair his king. Hamrick still held an over card and a 10 would give him the Broadway straight. The turn was the 3 and Hamrick’s good call seemed as if it was going to cost him big time. Hamrick’s rail called for the 10, and their calls turned out to be prophetic. The 10 landed on the river to give Hamrick the straight and bust Caramatti in fourth place, for which he earned $191,744. Hamrick was already the chip leader, but in eliminating Caramatti he increased his stack to 6.8 million — well above Thomas O’Neal’s next largest stack of 2.1 million and Ian Wiley’s 1.5 million. Hamrick made the right call, as his hand was a slight favorite over Wiley’s, but the flop hit Wiley right away, running Q J 7 to pair his jack. The 2 came next, and Hamrick was down to one last chance to hit an ace. Sure enough, the A landed on the river and Hamrick eliminated Wiley in third place. Wiley went to the rail $265,869 richer. The flop hit both players, running A K 2 , but Hamrick’s queen kicker had him in the lead. The turn brought the 7 and O’Neal needed a 9 to win the pot or for the board to pair to chop it. The 8 came on the river and at around 5:30 a.m. Hamrick took the pot to eliminate O’Neal in second place ($375,627). Hamrick earned his first WSOP bracelet and $604,222.